Print design for de Vine Wines & Spirits; in line with the recent suite of spirits labels I designed for de Vine Wines & Spirits, I also designed a 16 page booklet called ‘the little book of cocktails’. 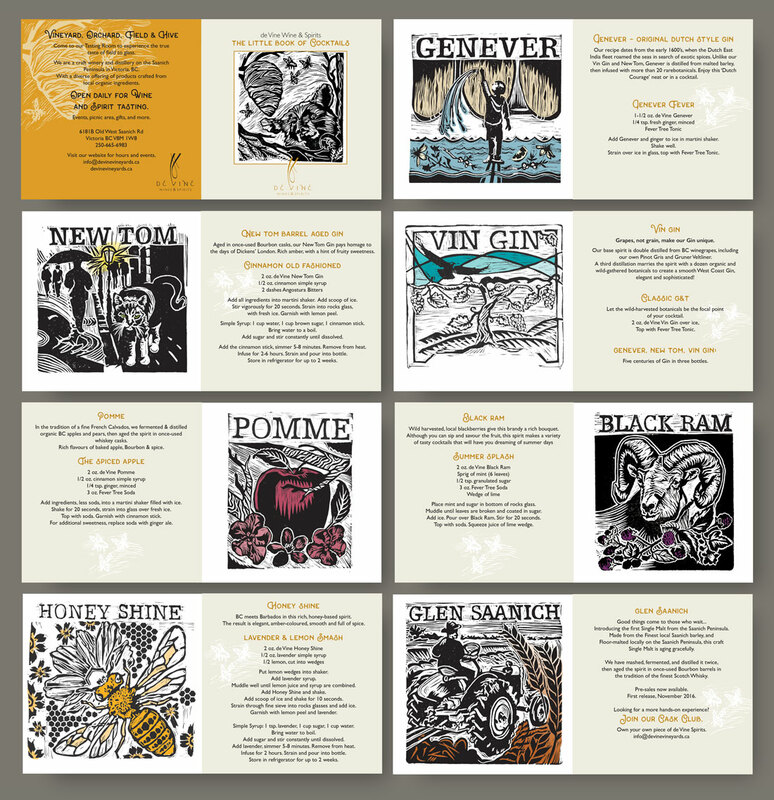 On each spread there’s a recipe and my label linocut illustration to go with a brief history of the spirit and a recipe. 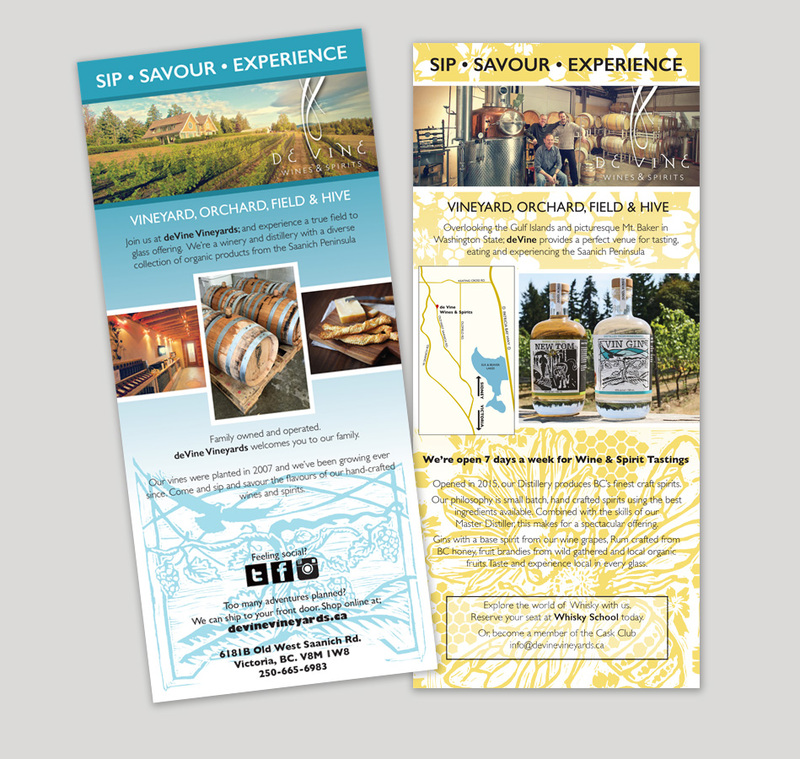 I also designed a rack card (4″ x 9″), with a map to help people find the property.